There are a number of different ways people can get started road racing. Miatas, BMW E30s, Porsche 944s and other fendered cars offer affordable routes to start carving corners. 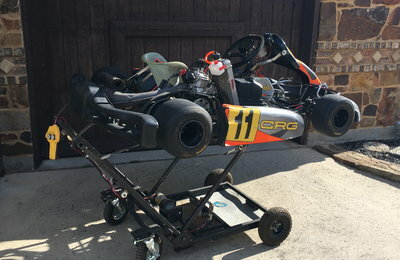 However, the best performance bargains are undoubtedly karts and low-powered single seaters, which emphasize the fundamentals, demand precision and offer unparalleled cornering speeds. Karting is a special sort of situation, and it gets overlooked all too often. The typical kart a small machine, and people don’t connect the same sort of performance with a tiny shifter kart as they would with something larger, more muscular and with an eight-cylinder soundtrack. Weight, however, is everything. 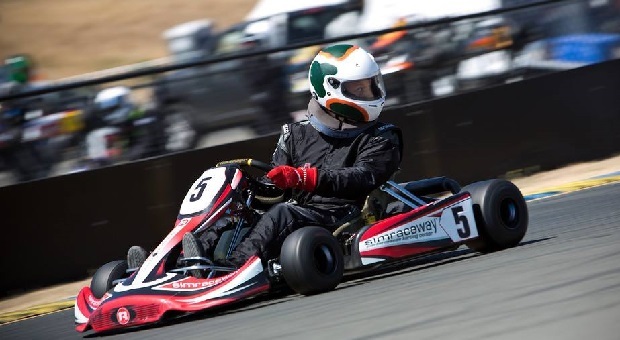 Karts are light – just a few hundred pounds – and the 2-stroke engines make as much as 50 horsepower. Strung together with 6 gears, that power is both addictive and relentless. The tires are immensely grippy, providing 2 g’s of cornering and braking forces, and without suspension, they react with a speed that full-sized cars can’t hope to match. There’s a reason why karters’ necks are as big as linebackers’ necks. 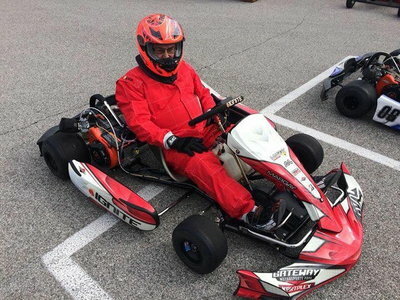 Performance aside, the appeal to the aspiring driver is in the racecraft karting teaches. 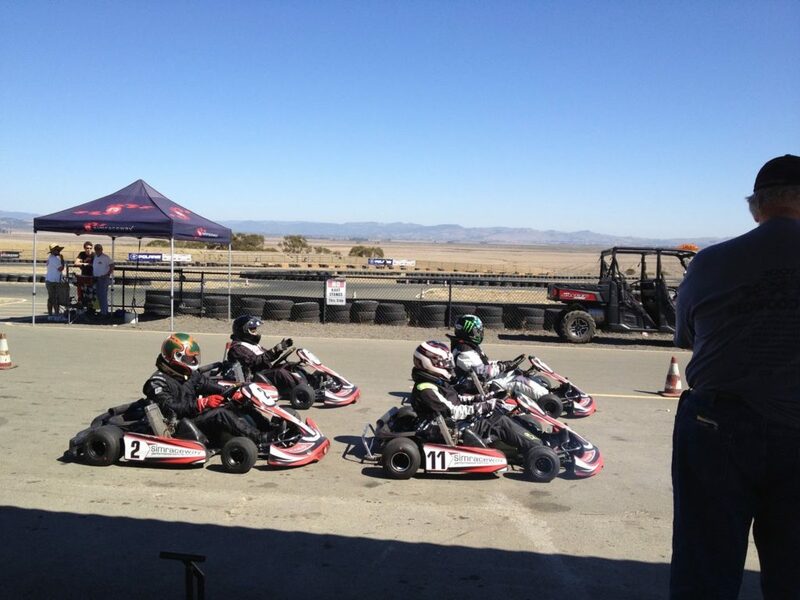 It’s the best way to learn how to race in groups and against drivers one-on-one. Momentum conservation, late braking, feints, mid-corner lifts and all the defensive moves you could imagine are taught and reinforced endlessly in these diminutive machines. There’s always a driver who’s quick in any field, but one who’s quick and good at wheel-to-wheel racing is a rare and valuable asset. 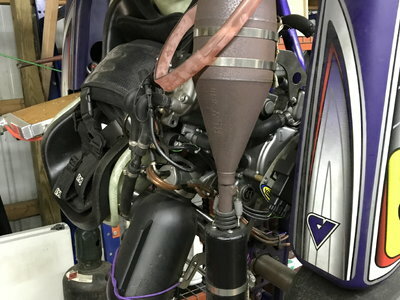 However, since karts lack differentials and lift an inside rear tire to turn, their behavior is essentially very different from a car. Certain direction changes and overtaking maneuvers simply aren’t possible to do in a full-sized car. Reactions are immediate and they really beat it out of you after a while. Cracked ribs and some back injuries aren’t completely unheard of. Now, seeing as these machines are oriented towards young kids who have the ability to heal overnight, it works. No doubt about it, they’re physical. 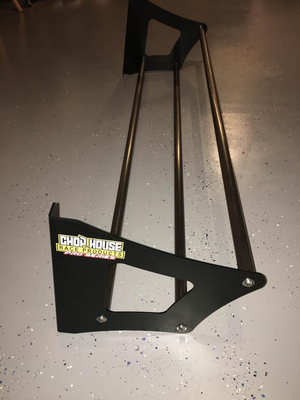 You could see it as a fairly inexpensive – as far as racing goes – way to shed a few pounds and build a little upper body strength. Eventually, some of the more fortunate kids will want to move into a competitive category with full-sized cars, where they will have to change their approach somewhat. 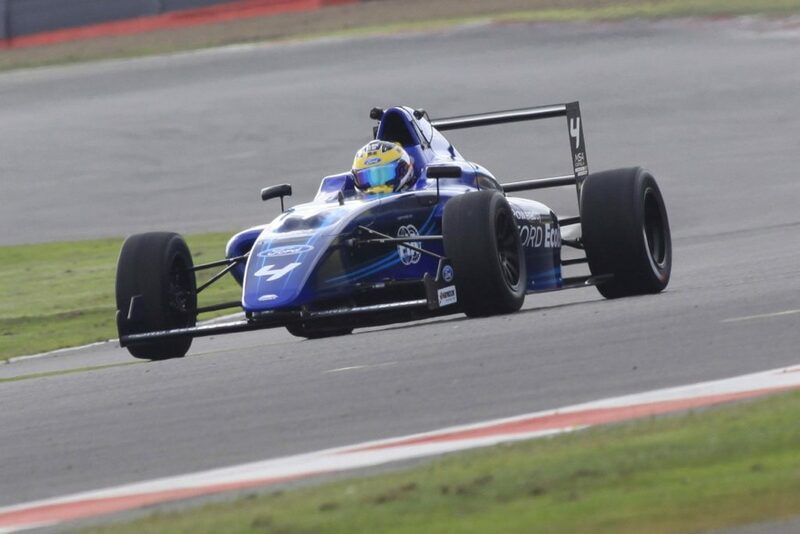 To learn the dynamics of a larger, heavier racing car, Formula 4 is a new option with lots of appeal. The car is light, safe, stiff, and the engine is a four-cylinder – with six different options ranging from 1.3-2.0 liters – making around 180 horsepower. They’re not so powerful that they can pull a driver out of a big mistake; they don’t have much torque. Therefore, the driver has to refine their momentum conservation and learn how to be smooth. The reactions are quick, but the cars now feature suspension, and so a driver needs to learn how to let the car take a set and roll. The drivers always feel as if the cars are slower in their reactions. Compared to anything else, though, they’ll feel stupendously responsive. There’s less steering correction needed, and a little more finesse required to get the right sort of behavior out of the car, so they also need to be more precise. 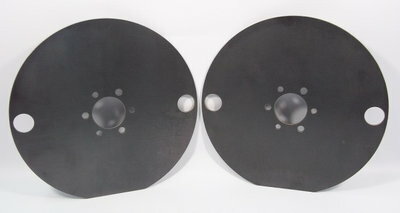 Additionally, there is the aspect of aerodynamic grip – though not too much. These cars generate more grip in the faster corners thanks to the wings pressing the machines into the asphalt. Not outrageously sticky, but the cars do offer new challenges like degressive braking, where a driver will have to learn to feel the aerodynamic grip reducing and tailor their pedal pressure appropriately. Also, the average speeds are much higher. Though less agile at low speeds than a kart, a Formula 4 weighs just 1,035 pounds, has wings and slicks and can corner at some pretty stunning speeds. There’s no way a kart or even most fendered racers can corner as well as these machines in the high-speed sections. 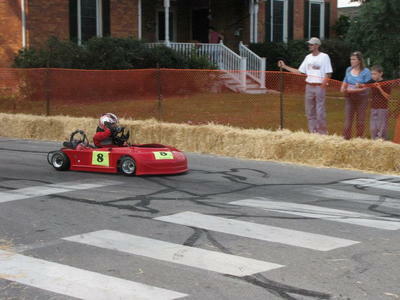 Now, most can get into karts and have some fun for peanuts. Even if serious competiton isn’t on the horizon, regular karting is a great way to stay fit and keep reactions sharp for little money. Depending on how far a driver wants to go, though, it can get quite expensive. The price of a full national season, with the best equipment and all the travel expenses, will cost as much as a fully-optioned Porsche. F4, on the other hand, is much pricier to get into. 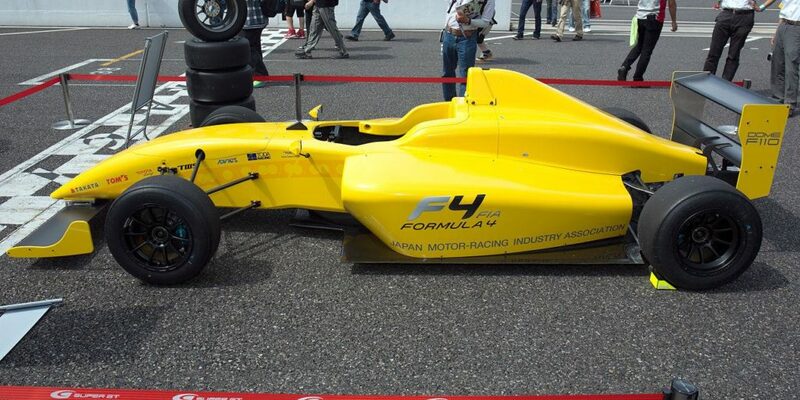 To get a new F4, expect to spend somewhere around $40,000, and a full season totals around $120,000. It’s more than what most can pay, but considering a serious stab at Spec Miata costs around the same, the carbon-tubbed, bewinged, slick-shod formula cars begin to sound a little more reasonable. Hmmm… $120 for a full season of F4? I could race a lifetime in Formula Vee for that price, and still die with money in the bank. Is it glamorous? No. Is it ridiculously fast? No. Is it just as much fun? Yep. Are the FV folks the best people you could ever meet, literally pulling a motor from their own car just so *you* could run? Hell yeah. Stop with the “mine is bigger than yours” racing and get on track with a great bunch of drivers.